Alexander Bogomolny is the principal at CTK, a software development and consulting company maintaining Cut the Knot web site. This project combines his professional interests in mathematics, mathematics education, and software development. In the past, he worked as a professor of mathematics at Rutgers, University of Iowa, and Hebrew University of Jerusalem. Alexander also wrote a monthly Cut the Knot column for the Mathematical Association of America (MAA) Online. Alexander also worked as the Vice President of Software Development at CompuDoc, NJ and senior software developer at Lake Kinneret Research Laboratory and Ben Gurion University, Israel. 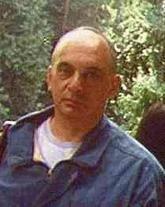 His research career started in the early seventies at Moscow Institute of Electronic Control Devices, where he worked on numerical methods and nonlinear programming. Cut-the-knot is the site with delightful stories, interactive eye openers, and other "miscellany and puzzles" bringing much math joy to the world. During the event, we will chat with the site's creator, Alexander Bogomolny, about his educational projects. Raymond Smullyan, a Mathematician, Philosopher and author of several outstanding books of logical puzzles, tells, in one of his books, a revealing story. A friend invited him for dinner. He told Smullyan that his teenage son was crazy about Smullyan's books and could not wait to meet him. The friend warned Smullyan not to mention that he is a Mathematician and that Logic is a part of Mathematics because the young fellow hated Mathematics. Is anything wrong? Can I do anything? A person who abhors reading in general may be suspected of lacking in intelligence, but otherwise, in the absence of further personal data, would likely be judged "normal." A rare person would dislike music as opposed to the one who dislikes a particular kind of music (classic, chamber, pop, country, etc). You would probably be surprised to meet a fellow who feels indiscriminately dizzy at the sight of a painting. Why then has it become an acceptable norm to confess a dislike and misunderstanding of Mathematics as a whole? Artisans vs Mathematicians If you are a mathematician you surely know what I mean. If you are not, pretend you are, and next time when making a new acquaintance suggest as much. Chances of a response in the spirit of "Oh, really. I have always had problems with math," or "Math was the most difficult subject I ever ..." are overwhelming. Somehow I feel that a biologist would not hear (at least not too often) complaints about biology, and a chemist about chemistry. I am sure of this because the term "math anxiety" has gained a respected position in our vocabulary long ago which may only compare to the position afforded to a more recent "computer illiteracy." But whoever heard or confessed of "biological anxiety" or "chemical illiteracy"? Stereotypes What's in a proof? Is math around us? Two attributes (real or perceived) of Mathematics place it apart from other subjects and sciences. Mathematics is the only deductive science, and Mathematics is pervasive. Mathematics is pervasive and fundamental in the sense that more human activities require at least some math skills than is true of any other field of knowledge. I believe this to be a standard perception. Why is it then that so many people (after having troubles with math in school and learning very little or next to nothing) live their lives happily without missing Mathematics in the least? Is math beautiful? The answer is simple. You cannot design an efficient engine without good knowledge of Calculus. Still you can drive a car without any understanding of the internal workings of the engine; much less of the mathematics needed to design or build one. In pragmatic terms we need mathematics very rarely, and, when we do, the mathematics we need is mostly trivial. Counting change in a supermarket, mortgage cost, interest on a loan, the best time to start a driving trip, frequent flier mile count, and what else? However, thinking along these lines is a great simplification and injustice towards both Mathematics and the average person. I know for sure that Mathematics may be beautiful. Judging Mathematics by its pragmatic value is like judging symphony by the weight of its score. Do we need it? What is a pragmatic value of music or literature? Yet would you rather do without either? Few among us attempt to or practice writing music. Most are just happy to be able to appreciate it. Appreciation of music enhances our lives. Likewise, the ability to appreciate Mathematics enhances the lives of those who possess it. Proofs: simple and beautiful Here we come to another distinctive attribute of Mathematics. Mathematics is the only deductive science. The peculiar beauty of Mathematics lies in deduction, in the dependency of one fact upon another. The less expected a dependency is, the simpler the facts on which the deduction is based -- the more beautiful is the result. Want a pleasant morsel? Roger Schank observes that we may choose what to remember, but are not free to forget at will. One interpretation is particularly pertinent to understanding of the prevailing attitude towards mathematics. Once you created a mental barrier that hinders you from approaching math study in a rational way, it must be hard to change your mindset. Without going into research and speculations as to what causes math anxiety I hope to create a resource that would help learn, if not math itself, then, at least, ways to appreciate its beauty. Working in reverse, if it's hard to forget an unpleasant experience, it's as hard to forget a pleasant one. 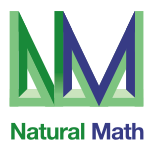 Mathematics and puzzles Learning starts from wondering, and another purpose of this site is to serve as a resource for things, simple but curious, related to Mathematics. I do not intentionally classify topics according to their simplicity. There must be an element of discovery involved to enhance a learning experience. This site is a Miscellany. A few topics are so related that they cannot be treated independently. Make your own selection that, I hope, may lead to other discoveries.